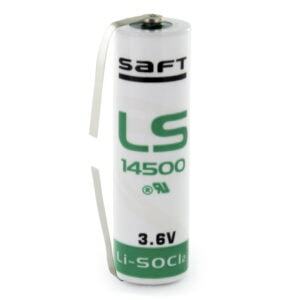 The Saft LS14500/3PF is a AA size primary lithium cell with Polarised Pins based on Lithium Thionyl Chloride (Li-SOCl2) chemistry. 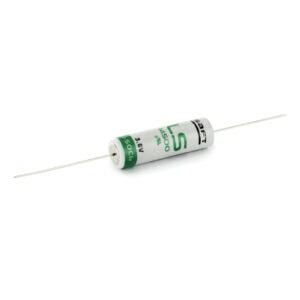 It uses a double pin on the negative terminal (10mm pitch), with a single pin on the positive terminal. 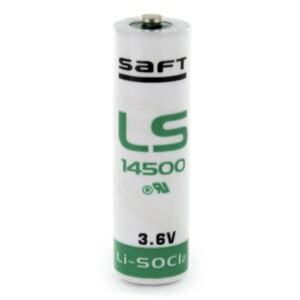 The LS14500/3PF may also be known as the alternative part number Tadiran SL760/PT.